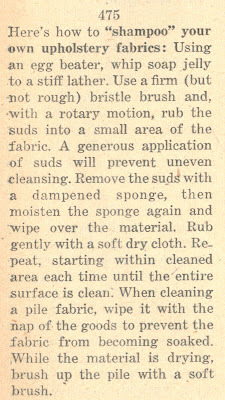 A tip for drying chenille bedspreads -- which I imagine is equally good for robes, etc. 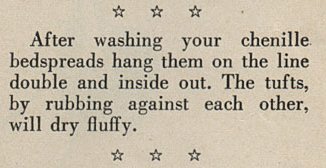 -- that's not only green, but probably safer to do with your vintage chenille collectibles that you're afraid to put in the dryer. And, yes, this is a way to keep the chenille fluffy! 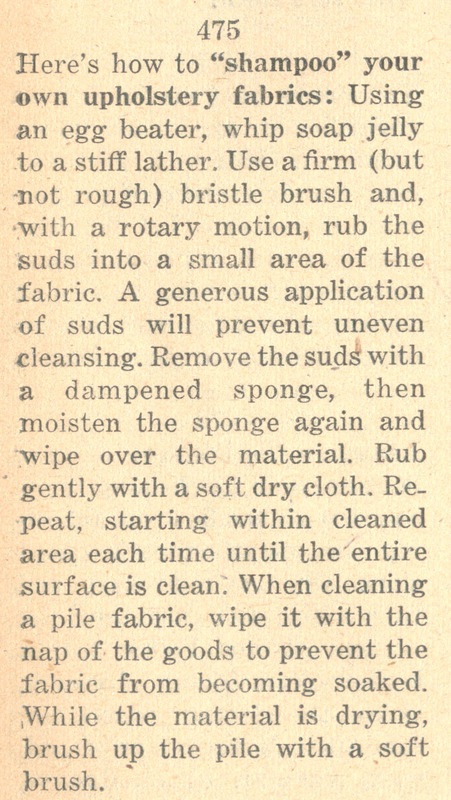 Another use for soap jelly, this time whipped-up with an egg beater to make a cleaner for upholstered furniture. 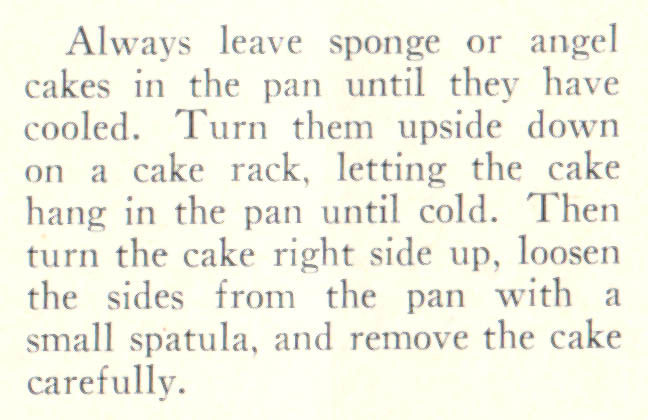 This is tip #475 in 1003 Household Hints & Work Savers. 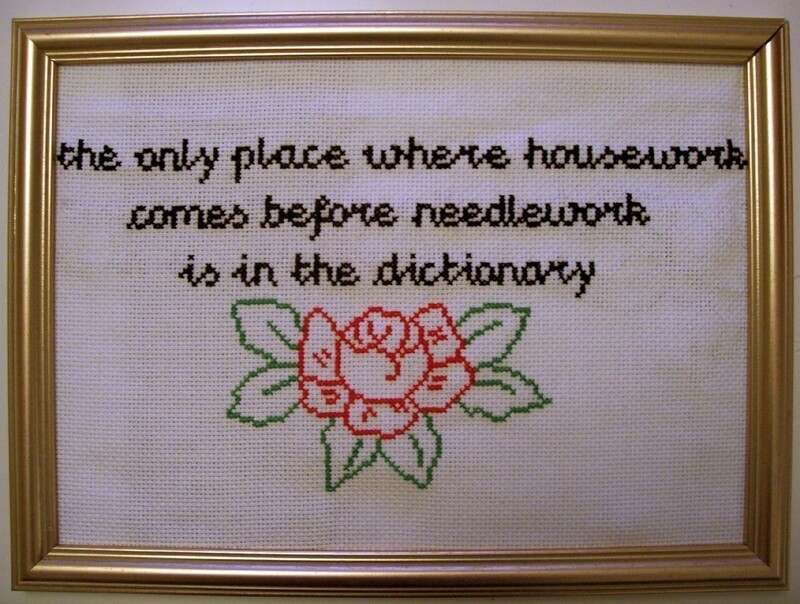 Sew, Whatever Happened To Learning How To Use A Needle & Thread? One of my daughters starts high school next year. She tried to select a beginner's sewing class as one of her electives, but, since only four other students registered for the class, it was canceled. You'd think that with the popularity of Project Runway, etc., a full class would be possible; but no. 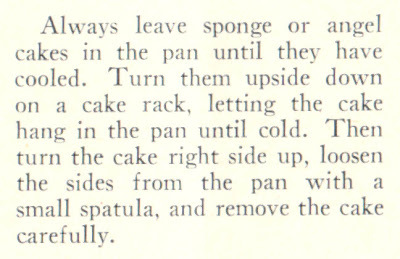 This disturbs me for several reasons. One, my brother in law cannot sew a button on his shirt. I know this because he was given a shirt as a gift and the pocket seam was undone -- it just needed a few stitches to tack it in place on one side -- but he couldn't do it. I told him, "If you can sew a button on, you can tack that back down." He said he couldn't do that. And that he didn't bother to learn because the dry cleaners always did that for him. Now, I love my brother in law, but I don't want my kids that helpless. Two, if I want my children to have sewing lessons (and at least the girls want them; they are interested in costume design as well as crafty things), I'll have to pay for them. I'd prefer that the public school I fund with my taxes would provide the education on such basics. And beyond. Yes, I could teach my kids to sew -- at least what I know, remember and teach myself (see my Stitches In (My) Time post). But you moms out there know how well that goes with teenage girls... Getting them to sit with me to learn basic sewing and repairs does not go over as well as teaching them "more fun" needlework and craft projects. Like teaching my kids math etc., it works best when the school provides the core curriculum and I add onto it myself. As long as we still wear clothes made of fabric, sewing should not be a lost art. 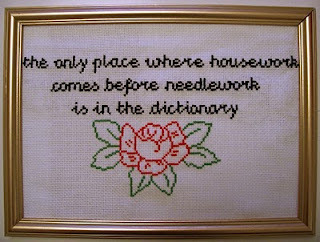 Image credits: Needlework Before Housework by Radical Cross Stitch (E-Pattern from Radical Cross Stitch aka Radical Rags at Etsy). A wartime tip on the benefits of saving soap scraps in a jar of hot water, aka "soap jelly." 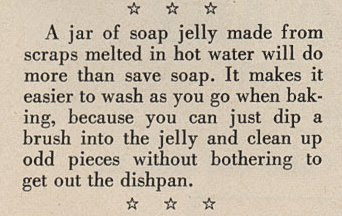 More info on soap jelly here.